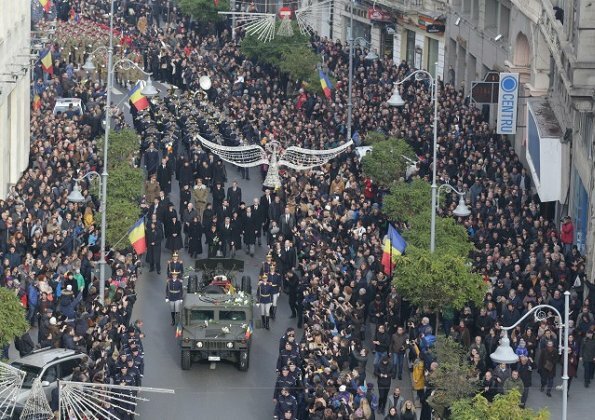 Today, on December 5, funeral of Romanian former King Michael I who lost his life in Aubonne city of Switzerland was held. 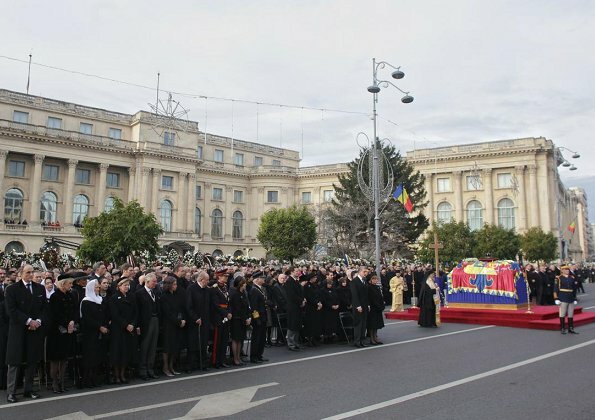 Representatives of Royal houses attended the funeral of King Michael held in Bucharest city of Romania. 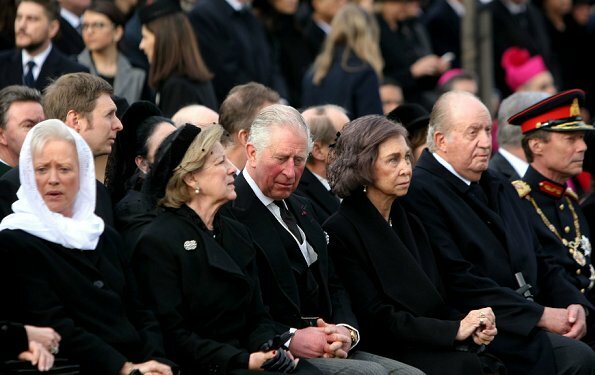 King Juan Carlos of Spain and Queen Sofia of Spain, King Carl Gustaf Sweden and Queen Silvia of Sweden, Princess Astrid and Prince Lorenz of Belgium, Britain's Prince Charles, Grand Duke Henri of Luxembourg and Queen Anne-Marie of Greece was present at the funeral. He had a sad life, away from his country for decades ,but also an extraordinary one. His decision to turn down Hitler saved thousands of lifes and shortened the war with 6 months. He has a life worth to be known so please if you have a chance to read about him and the royal family,do it. Not a very famous royal family these days but one full with extraordinary figures like queen Mary who was a key figure in the first world war in Romania for example. Truly a sad moment but looks like a beautiful end to a sad life. 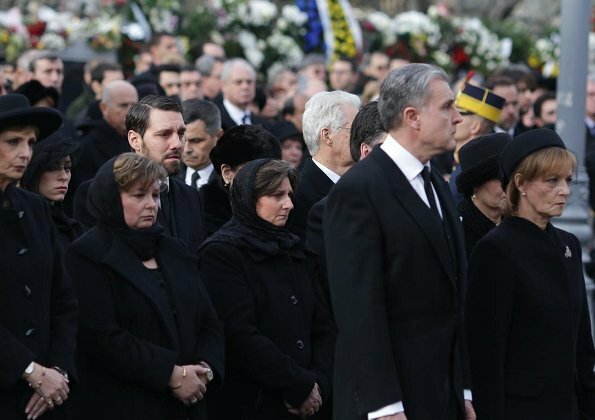 Commenting on clothes at a funeral does not feel right, but I have to say that Queen Silvia looks amazing in her soft hair style. 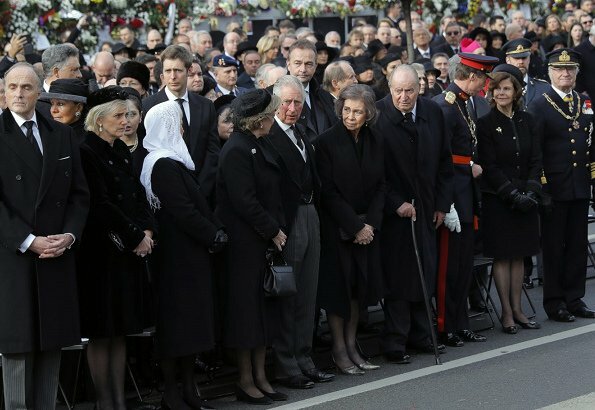 I find the last photo heartwarming, with so many people lining the streets to honour the monarch. I like that the family made it a public event and included the people, instead of holding a private service behind closed doors. 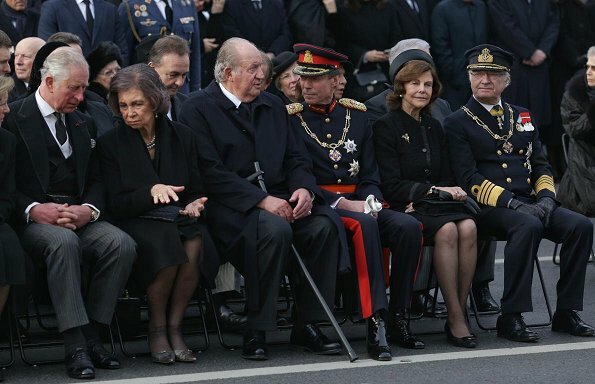 You can tell that the people care about their last king - that´s not the case in every monarchy-turned-republic. 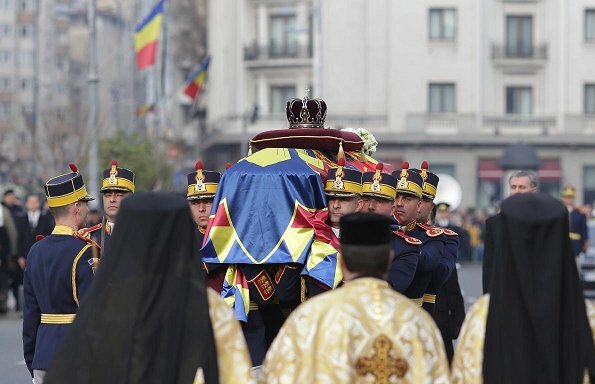 My condolences to Romania. 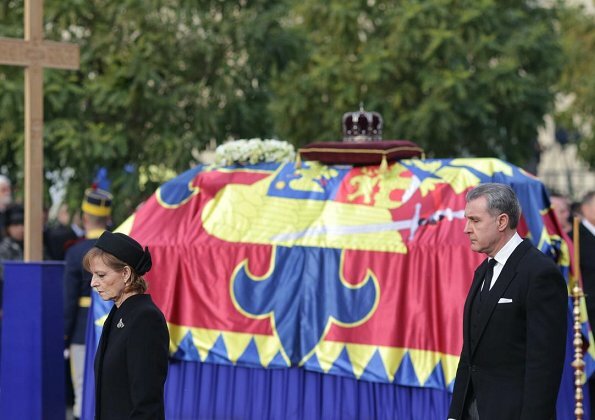 No representatives from the royal houses of the Nederlands, Denmark and Norway attented the funeral. Gone on Christmas holidays already!! Anne-Marie of Greece and Denmark?